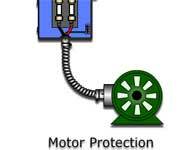 Learners examine an electric motor control circuit that uses a motor starter module. This activity has audio content. In this animated and interactive object, learners examine the interaction between a conductor that represents a motor armature and a magnetic field that represents a motor’s main field. This interaction causes the shaft to turn. 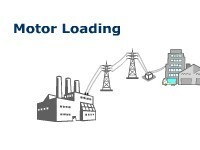 Students view a graphical explanation of how the motor condition (unloaded, 50 percent loaded, fully loaded) affects the phase between voltage and current, the current draw from the AC supply, the amount of power consumed, and the power factor. Learners examine devices that are used to protect a motor from damage, such as fuses, overload heaters, and thermal protectors. A quiz completes the activity. 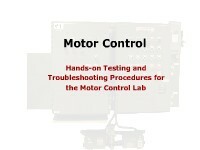 Learners examine the ways in which a motor starter circuit is protected by a main circuit breaker and overload heaters when there is excessive current. 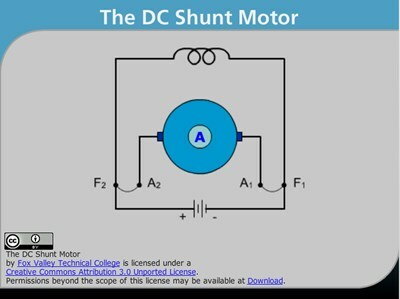 In this animated object, learners observe the changes inside the DC shunt motor that could cause the motor to break apart when its field coil opens. A short quiz completes the activity. 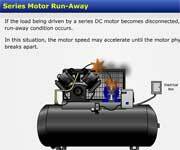 Learners examine the speed control circuits in a DC variable speed drive that cause the RPM of a motor to vary. This activity has audio content. 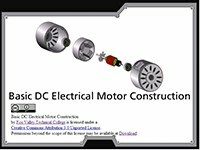 Learners examine the connections of a DC motor and how the terminals are labeled. A matching exercise completes the learning object. In this animated and interactive object, learners study the synchronous rotational speed of the magnetic field created by the stator of an AC Motor. Learners consider the changes inside a series motor that could cause it to break apart if the load was disconnected. A quiz completes the activity.